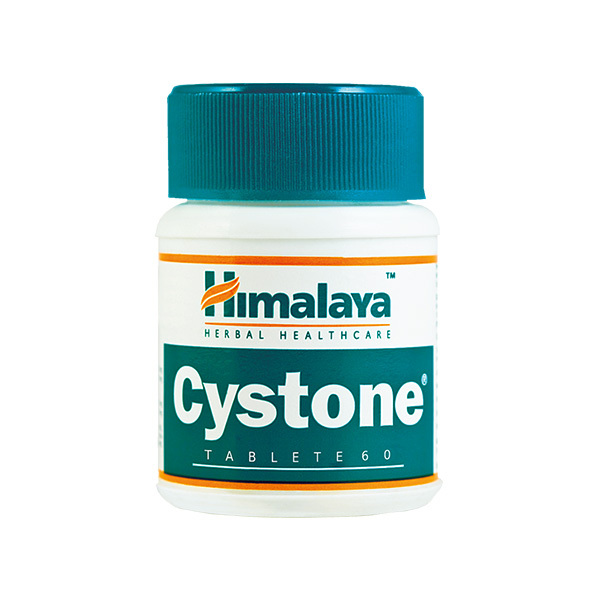 CYSTONE is a Herbal Medicine and used to maintain normal urine composition and mucosal integrity. It helps to maintain a healthy water management in body. CYSTONE is very useful in maintaining a healthy urinary tract and it works by maintaining normal urine composition and mucosal integrity. It is a natural aid in maintaining healthy water management, and a diuretic that relieves temporary water - weight gain. It helps kidneys and urinary tract in normal functions. Following the dosage instructions of your doctor is the best way to use any medication as CYSTONE is used in curing different diseases. The usual doses for different purposes are - In urolithiasis & crystalluria: 2 capsules twice daily for four to six months or till the stone(s) passes out. In urinary infections: 1 capsules twice daily until the infection is cleared. In acute renal colic: The dose may be increased to 2 capsules thrice daily. In burning micturition: 1 capsule twice daily for 4 to 5 days. To prevent recurrence of renal stones: 1 capsule twice daily for 4 to 6 months every year, more particularly during summer months. CYSTONE falls under Herbal Medicine and it works by maintaining normal urine composition and mucosal integrity. It is a natural aid in maintaining healthy water management, and a diuretic that relieves temporary water - weight gain. It helps kidneys and urinary tract in normal functions. Store CYSTONE at room temperature (read medicine label if unsure). Always keep it in a cool dark place that is not directly exposed to sources of heat or moisture and sunlight. Protect it from kids and pets. If you are expecting a child or are planning to have a child in the near future, then consult your doctor before using CYSTONE to discuss any possible threats to the unborn baby.